1. 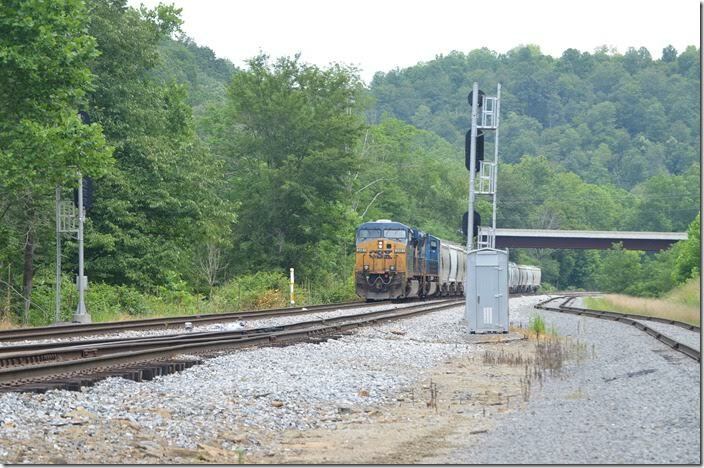 CSX 870-223 e/b N730-30 (Leer Mine – Consol coal dock Baltimore) is parked at the east end of the Leer Mine siding under the US 50 bridge at Thornton WV. This train departed a couple of hours later. Thornton WV. 2. 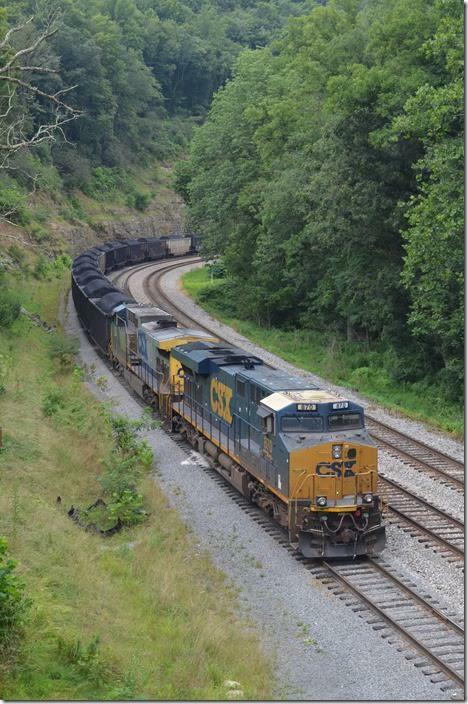 CSX 870-223. Thornton WV. View 2. 3. 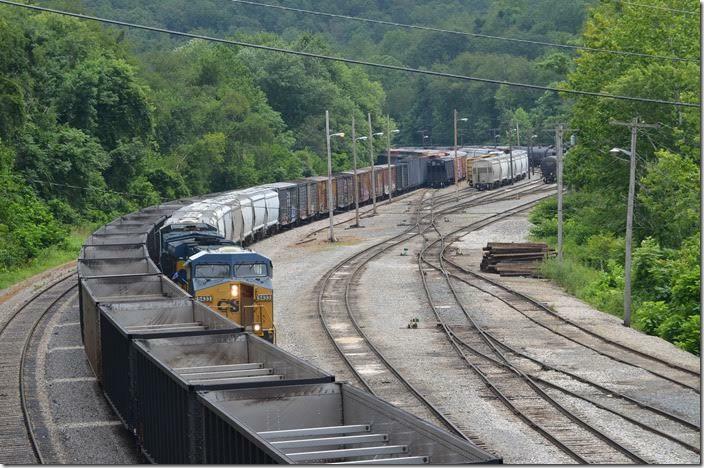 CSX 5433-3072 on Q317-30 (Cumberland-Cincinnati) stopped in Grafton Yard. Grafton WV. 4. 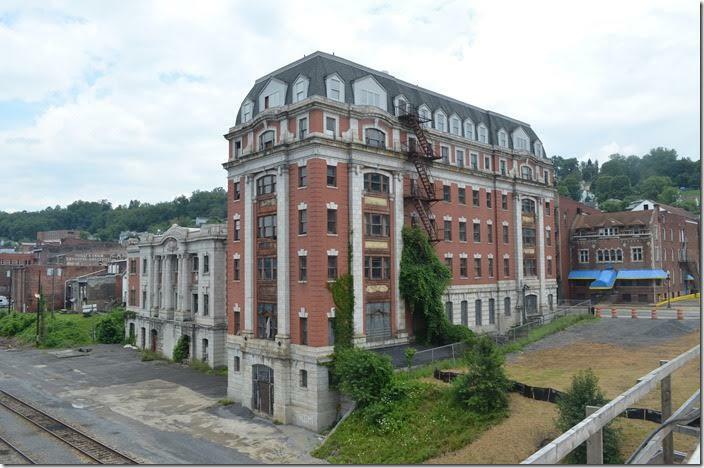 The old B&O motel, offices, and depot in Grafton WV. 5. 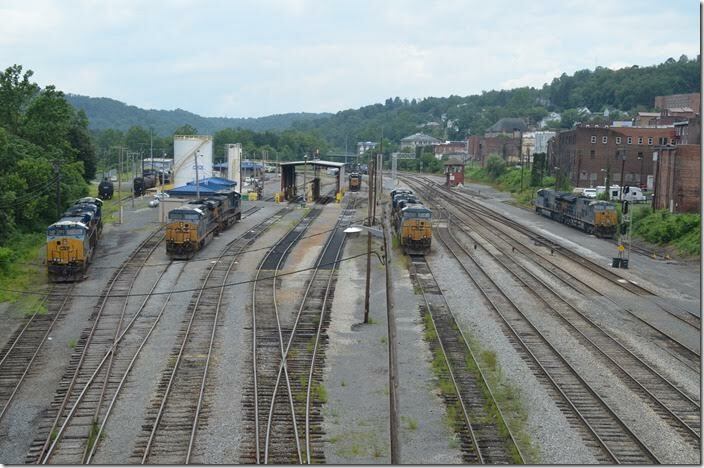 Looking west from the new bridge we see CSX 3115, 700, 719 and 3254. 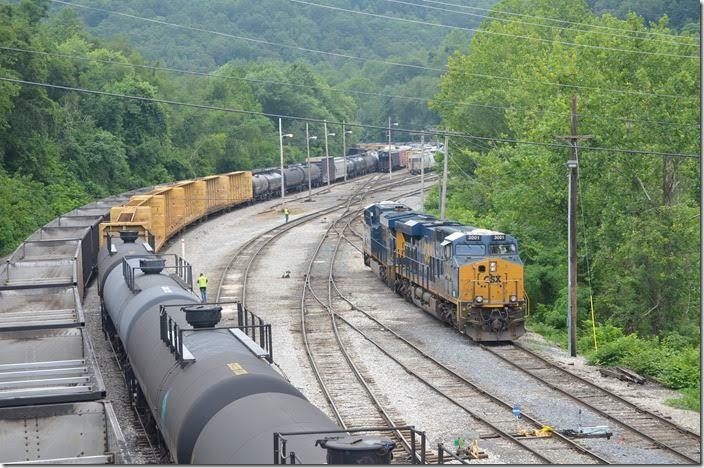 CSX 3254-3255 will soon become M&K helper B236-31 to shove N730. Grafton WV. 6. 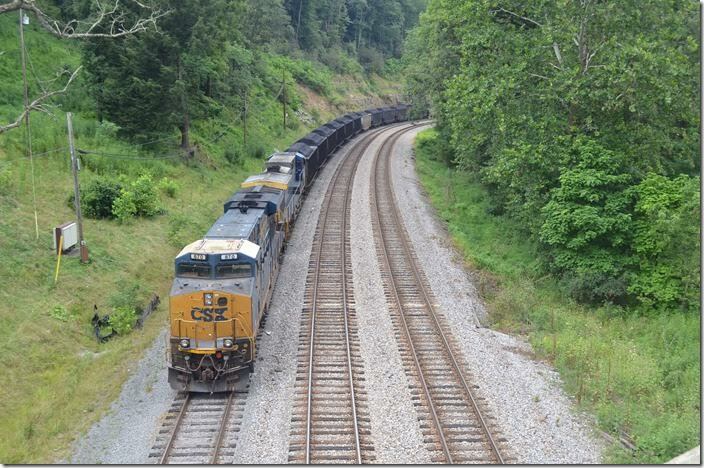 CSX 3115 700. Grafton WV. View 2. 7. Q317 gets ready to switch out their local cars. Chris Strogen tells me that the small covered hoppers are frac sand for the Fairmont Trans Flo Terminal, boxcars will go to the Resolute Forest Products recycled bleached kraft pulp mill at Fairmont or Weyerhaeuser at Heaters (on the Cowen SD of the A&O), 2 gray log racks for Allegheny Veneer at Buckhannon, red center beam probably for Trus Joist MacMillan’s mill at Buckhannon. The tank cars are for chemical plants along the Ohio River SD between Benwood and Parkersburg. Center-beams are going to the CertainTeed plant at Moundsville to get loaded with drywall made from fly ash from AEP’s Mitchell Power Plant. CSX 5433-3072. Grafton WV. 8. 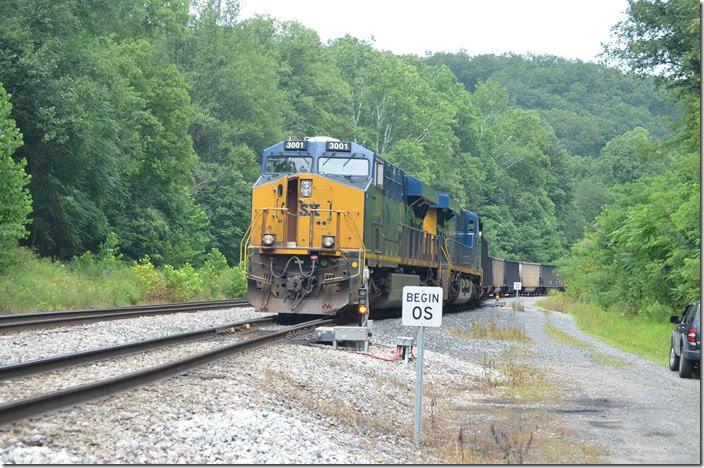 CSX 3001-3115 back out into the yard to couple onto empties for the Leer Mine. Grafton WV. 9. 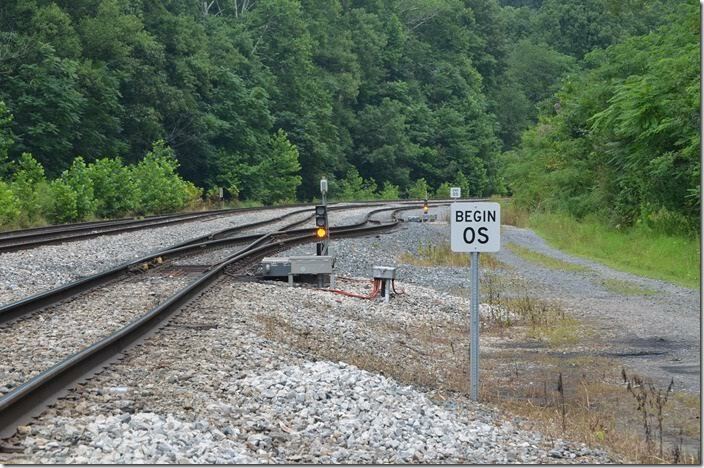 The CSX PAS (Power Assisted Switch) and derail into the Leer Mine siding at East Grafton has been aligned by the conductor on N640. 10. 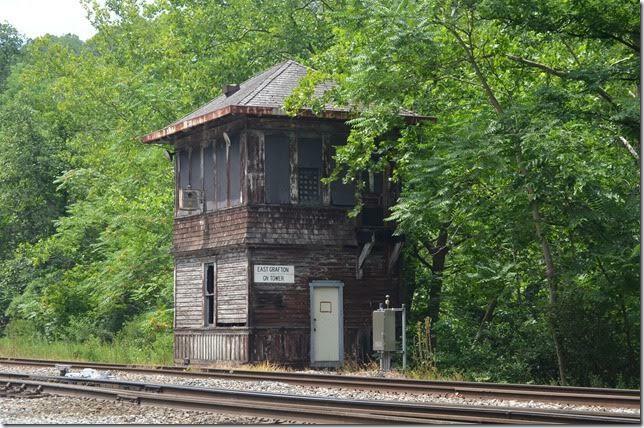 Oh to have a pushing platform or caboose! 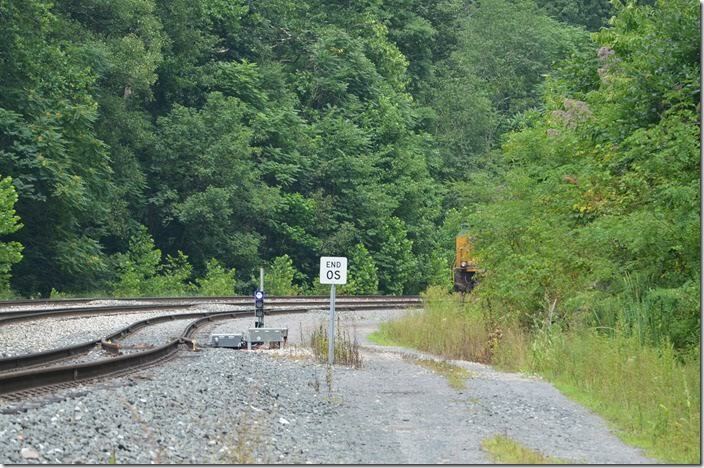 CSX 3001. Leer Mine siding. 11. 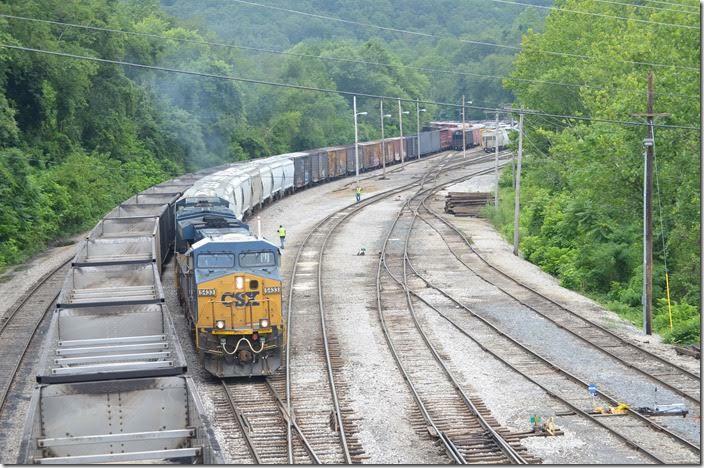 CSX 3001-3115 will load N640 (Leer Mine to Toledo Dock OH). Leer Mine siding. 12. The dwarf is purple which I assume to mean that the de-rail is on. 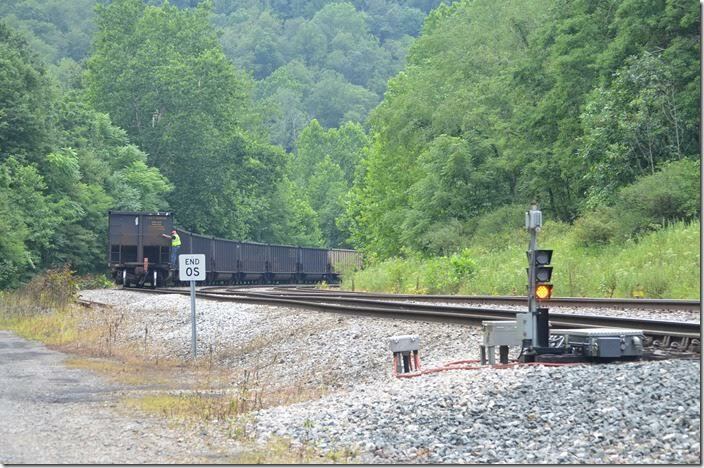 CSX derail dwarf. Leer Mine siding. 13. That bridge goes from US 50 to the mine guard house. I suppose it is owned by Arch Coal. 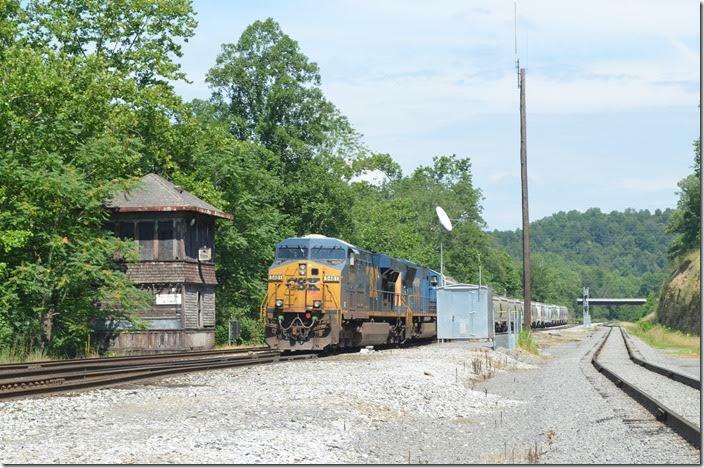 CSX 3001-3115. Leer Mine siding. 14. Arch Coal’s Leer Mine siding extends from GN Tower to Thornton, approximately 3 miles. N640 is shoving in, but I don’t know if N730 has pulled out the other end yet. CSX 5481 3001. East Grafton. 15. 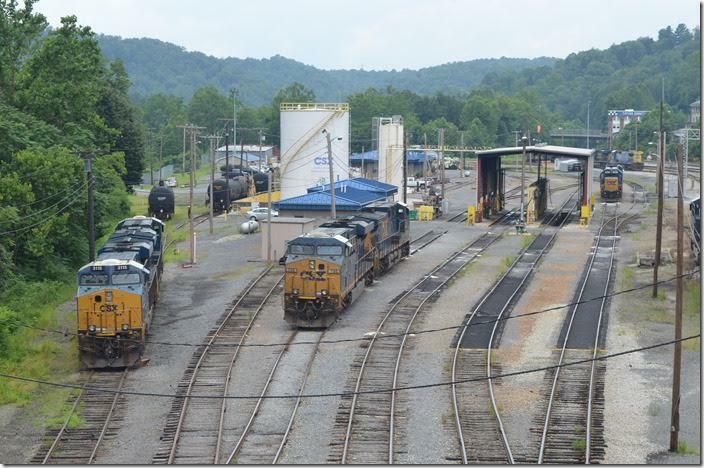 CSX 5481-4709 have e/b W263 which is 24 small covered hoppers of frac sand for the Fairmont Trans Flo facility. East Grafton WV. 16. I cannot resist another shot of this railroad landmark. 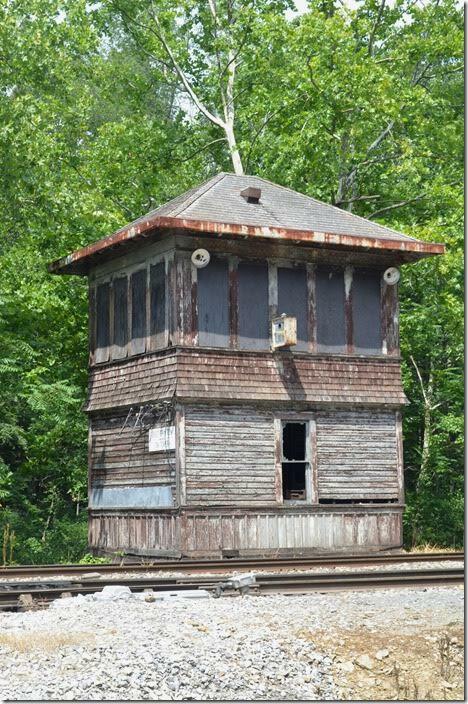 CSX GN Tower. East Grafton WV. 17. 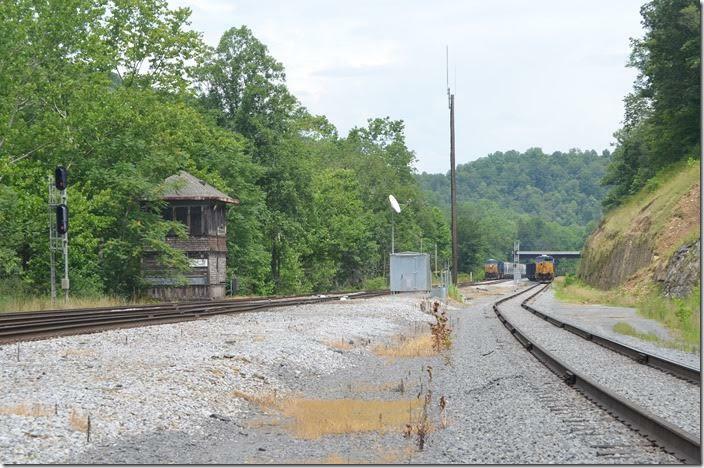 CSX GN Tower. East Grafton WV. View 2. 18. W263-29 (Cumberland-Grafton frac sand) heads into Grafton yard. 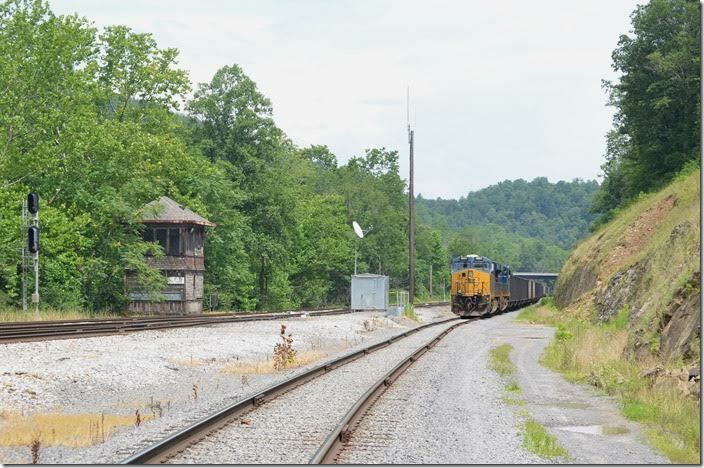 CSX 5481-4709. East Grafton WV. 19. CBFX (CIT Group/Capital Finance) 305441 was built in 11-2013. CRDX, DSIX and HWCX cars were also in the train. 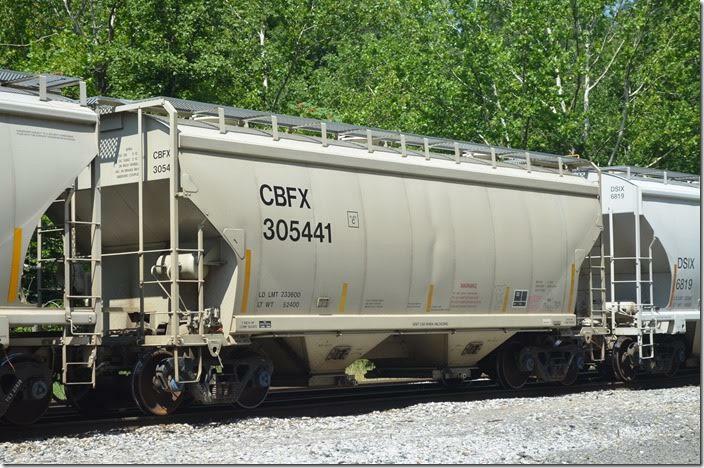 CBFX covered hopper 305441. East Grafton WV. 20. 001-3115 depart e/b as M&K Helper B236-31 to push N730-30 from Hardman. 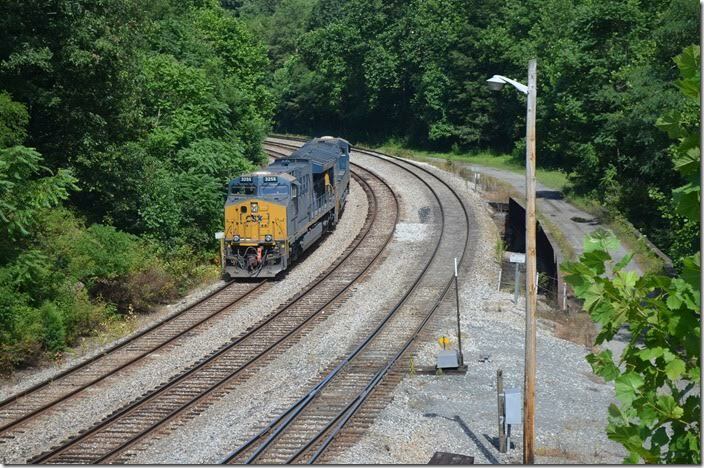 CSX 3255-3254. East Grafton WV.